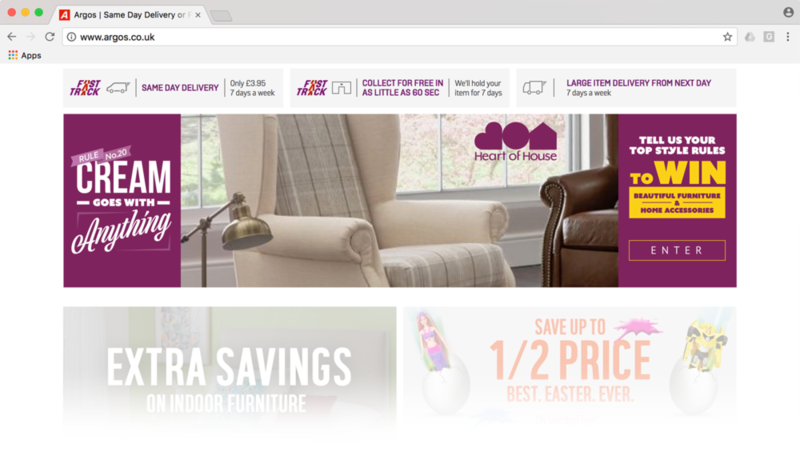 How can we create a digital always-on campaign to leverage Argos' Heart of House furniture range and stylish home accessories? I created a platform that turned HOH into a style aficionado, arming trend-conscious consumers with top tips and tricks via social media. Concept creation: The thought process and creative angle that unlocked the brief. Microsite connecting style tips to HOH furniture and home accessories. Competition entry delivered through rich media ads via retargeting. Best competition entries get turned into personalised memes and shared via social media.